"Marlene,Mark and Onalee, So sorry for your loss. My sister..."
"Marlene,Im so sorry for your loss"
"My thoughts and prayers to Marlene and family. Doyal was a..."
"Doyal, you always had kindness and smiles for all of the..."
"RIP Doyal. You were a good friend and fellow firefighter...."
Doyal Schell passed away peacefully at home on Friday, September 4th, 2015 after losing his battle with stomach cancer. He attended Vancouver High School and Clark College. 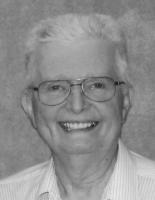 An active member of Memorial Lutheran Church for over 55 years, he was a go-to man for church building and repair projects. His love for his Lord was evident in his service to church and community. Doyal worked behind the scenes in numerous community events. He was technical and/or lighting director for the Peanut Gallery, Miss Washington Pageant, various civic events and hundreds of performances and dinner shows with Schell Dance Studio. Aside from his family, his great joy was his 41 years of service in Fire District 6. He was in integral part of the volunteer program, teaching many who have gone on to become paid firemen and officers. He is survived by his wife of almost 55 years, Marlene; his son, Mark; and his daughter, Onnolee. Funeral services will be held at Memorial Lutheran Church on Friday, September 11th. Fire Department Honor Guard ceremony will be at 10:30 with the service immediately following. In lieu of flowers, the family has asked that donations be made in his honor to Firefighter Assistance Fund or to Memorial Lutheran Church.